Emotiva MC-700 is a top quality 7.1 Channel AV surround sound processor, supporting 4K (UHD HDR) recordings and home theatre 5.1 and 7.1 channel set-ups. Equipped with six 4K HDMI inputs, three supporting 4k UHD HDR video with the HDMI 2.0 and HDCP 2.2 protocol and numerous digital and analogue inputs. MC-700 is effortless to control via the intuitive front panel, or by using the included infrared remote control and the menu is highly tactile, easy to configure and run using the big vibrant blue VFD display on the front or the on-screen display. If you want to upgrade your current theatre, the BasX MC-700 is a smart choice, because of its overall performance. The MC-700 brings you home theater surround sound at a reasonable value. The MC-700 features a choice of fascinating options, like the Emo-Q automatic space correction and loudspeaker EQ system. Once connected to suitable speakers, subwoofers and power amp like the BasX A-500 or A-700, the MC-700 can deliver a grade of sound quality and management that you wouldn’t believe possible at this modest value. Along with 4K video, MC-700 features various digital and analogue audio input choices. Plus, you'll be able to upgrade with a further Bluetooth receiver, enabling you to stream audio from your smartphone, tablet, or laptop. 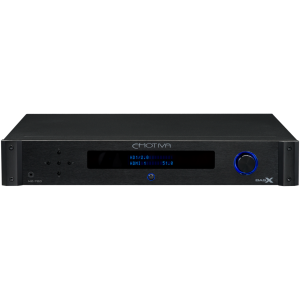 The optional Bluetooth module connects on to the MC-700, and gives you Bluetooth 3.0 AptX streaming capability. The BasX MC-700 has smart aesthetics and great sound, but is built for longevity and durability. The chassis is industrial-grade and constructed from steel, the faceplate is machined from solid aluminium, and each part is high-quality and constructed with care. Emotiva expect you to enjoy your BasX MC-700 for an extended time thanks to a full three-year warranty. Vital to superior Hi-Fi units, are the internal components and structure. All BasX products are designed to form part of an exceptional home audio system. Incorporating modern innovations, with the options you would require for a comprehensive audiophile-standard listening experience. Emotiva, leading manufacturer of home audio gear, identified that a majority of individual don’t have high-quality audio in their lives. The explanation for the lack of top quality systems is either time or money; either the person cannot afford hi-end audio, or don’t take the time to research and discover superior units. This was the starting point for the new Emotiva BasX products. 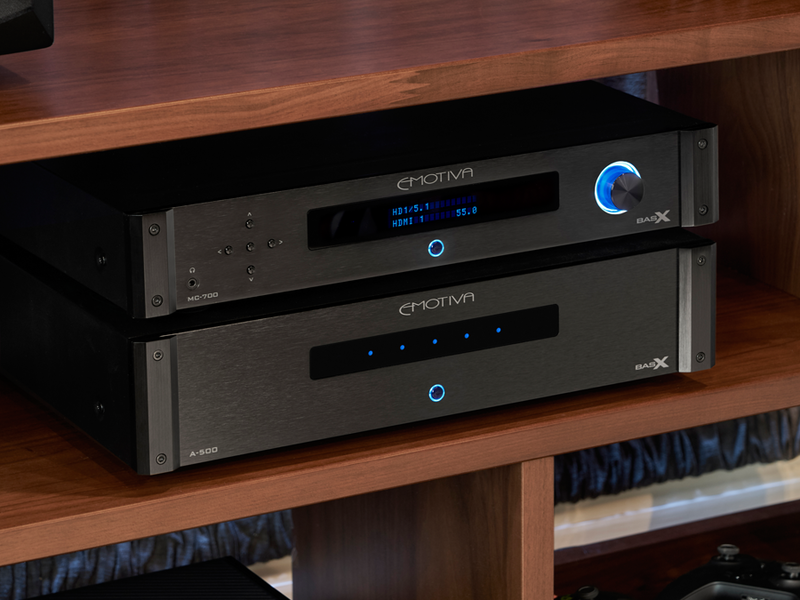 Emotiva opted for components that combine excellent sound quality and key features, always in an elegant design. The internal parts of the new BasX series convey years of extremely reliable, bother free service. The resulting AV processor offers great sound and value. BasX isn’t just smart for your budget but is also incredible simple to setup, designed for longevity to bring years of reliable problem-free service. The BasX will look smart in your living area or Hi-Fi rack. Create a complete music or home cinema audio system from the BasX series for real audiophile listenin or use just one BasX unit alone to boost your existing system. MC-700 produces a stunning video that is obtainable with error-free switching, from up to six HDMI input sources, including three supporting full 4K (UHD HDR) video with HDMI 2.0 and HDCP 2.2. The addition of video memory enables viewing of one source while at the same time listening to another. The on-standby function is configurable to send AV to the display even if the MC-700 is in Standby. MC-700 entirely supports surround sound formats, like Dolby Digital, TrueHD, Pro Logic IIx, DTS, DTS HD Master Audio, DTS Neo:6. S/PDIF and multi-channel digital (PCM) audio is provided.